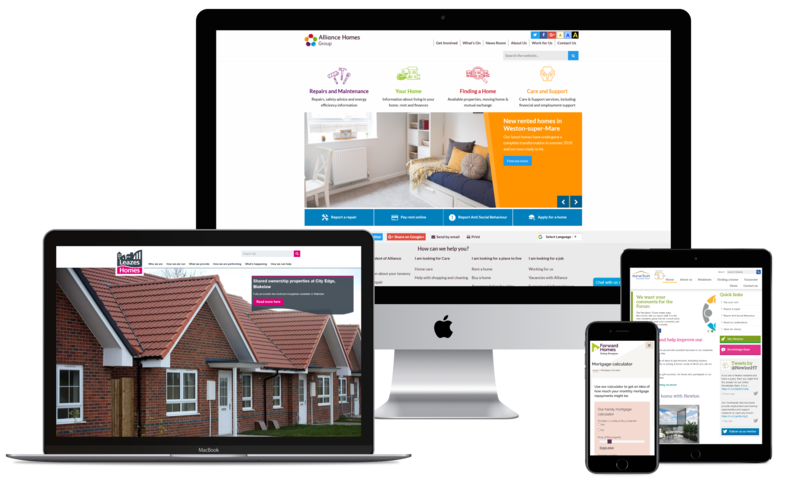 We have been delivering online experiences to housing sector organisations for over 10 years, working on website, intranet and tenant portal projects for the likes of Alliance Homes, Newlon Housing Group, Leazes Homes and Rosebery Housing Assocation. The housing sector excites us due to the number of stakeholders that need to be considered during the discovery phase; from a resident trying to pay their rent online, to tenants searching for properties, through to investors, government officials, council officers, internal staff and more. 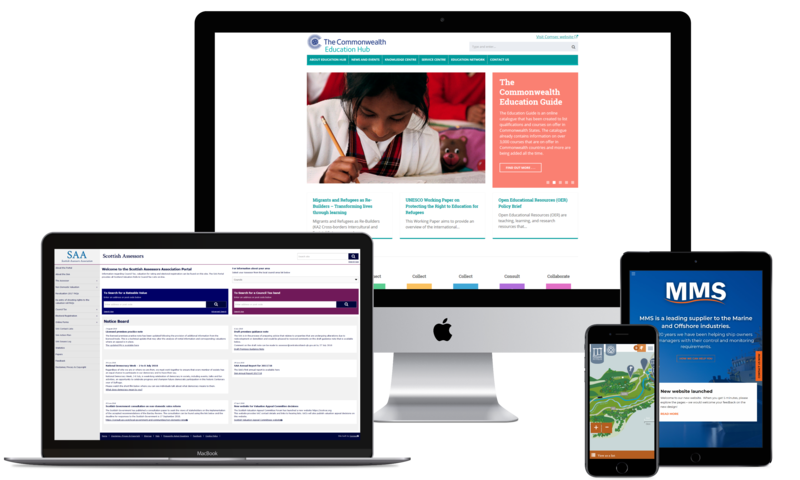 No matter if you are looking for a website redesign, tenant portal or intranet to boost internal communication, we can deliver a solution tailored to your vision. We understand the importance of delivering an online experience that is not only visually appealing, but a powerful communication and business tool that adds value to your organisation. We also understand how to develop an effective strategy for delivering a real-world approach to channel shift and being digital-by-default. We factor in design at the start of each project, because it provides an excellent starting point for discussion on the look and feel of a platform, and assures a consistent brand and strategy. Our project initation meetings also detail objectives, personas and success measures. For us, it is critical to consider the tasks that users are expected to complete: what, if at all, will they need to use a phone for once your new site goes live? Can they access the site’s full feature set when browsing via mobile? It is about maintaining consistency, and not pointing users to unnecessary communication methods. The Alliance Homes Group is a charitable society and social enterprise based in the West of England. When the Group came to us, they were faced with a challenge that many housing sector organisations must address: a demographic that is, to varying degrees, inexperienced with technology. A large percentage of the Group’s residents are over the age of 60 – an age bracket of comparatively slower digital uptake. The Group’s previous website provided limited functionality, and a lack of awareness prevented the Group from achieving its goals. With an aim of having 50% of tenants engaging digitally by 2018, a change was needed. We were appointed to deliver a refreshed website that encourages residents to shift from traditional engagement methods, such as telephone or letter, to email, private messaging and social media. Through card sorting exercises, wireframing and persona creation with stakeholders, we helped ease residents into the Group’s new platform. Residents can now browse a number of knowledge zones that cover the topics that matter to them. Our approach to the redesign was to offer users the best of both worlds: combining task-driven navigation with emotional design techniques, such as distinct calls-to-action. The redesign we delivered to the Alliance Homes Group is not only visually appealing and engaging, but is capable of encouraging lasting relationships that allow the Group to succeed in their digital transition.